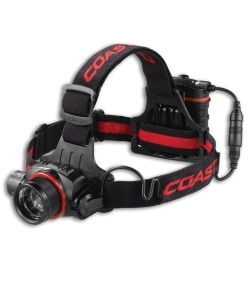 The HL8 headlamp LED flashlight runs on 4x AA alkaline batteries (included) to produce a maximum of 615 lumens. Its aluminum bezel and removable/extendable battery back make it the workhorse of the collection. It features a Pure Beam Focusing System with twist focus to quickly shift from an ultra wide flood to a long reaching spot. Includes a relfective safety strap, and is ready for use in any environment.